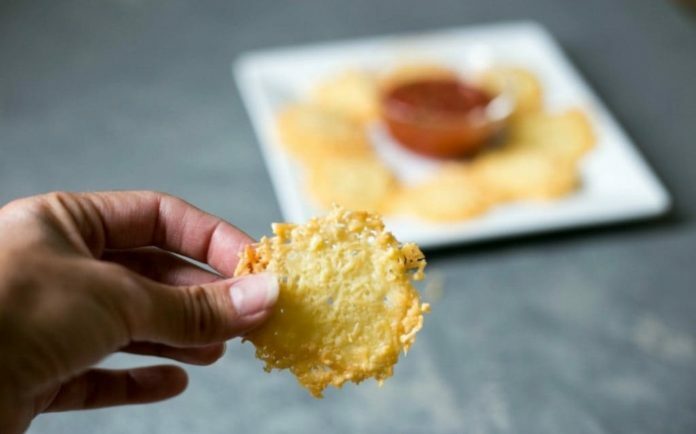 If you are interested in Keto recipes – you will love these Baked Parmesan Chips – (which are also low in carbs if you are watching them). These chips complement the flavors of just about anything savory you want to put on them or dip them in. I will say – even if you aren’t following a Keto diet – these are a must enjoy for everyone! Form small Parmesan cheese circles on the sheet. Bake, checking frequently, until the cheese browns but does not burn, 3 to 5 minutes. Remove from the oven and sprinkle the cheese with the salt. Let cool before serving. If you are interested in more specifics about the Keto diet or a plan designed specifically for you – contact me and I will be glad to discuss in more detail.